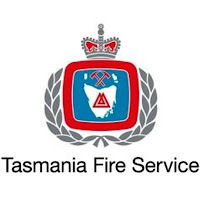 THE Tasmania Fire Service, Parks and Wildlife Service and Sustainable Timber Tasmania have urged the community to remain vigilant despite favourable weather conditions assisting firefighters battling bushfires across the state over the last few days. State Fire Controller Jeff Harper said emergency warnings for the fires had been downgraded but hot and windy conditions predicted for the weekend could require these to be escalated again. "There is still a significant amount of fire in the landscape drawing on resources around the state," he said. "A number of fires are still volatile and dangerous and fire behaviour can change with little warning." A Total Fire Ban has been declared for most of the Southern Region, Break O'day, Dorset and Northern Midlands municipalities starting at 2am on Sunday and concluding at 2am on Monday. Mr Harper said there were challenging days still ahead for the 599 personnel fighting the fires. "February is a historically a difficult time for fires and we will be in this space for a number of weeks to come," he said. Fuel loads around the state are 20-30 per cent drier than average and the fire edge has grown to 1629km, with the burnt area at 187,462ha. Mr Harper confirmed that three firefighters had been injured in the response to the fires. 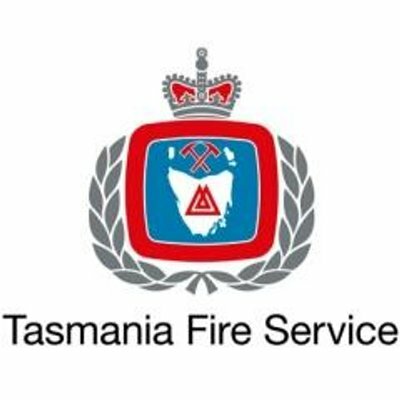 A Sustainable Timbers Tasmania contracted firefighter has been taken to hospital for assessment after being injured by a tree limb on the Riveaux Road fire today. One New Norfolk volunteer is being assessed for possible spinal damage after a vehicle rollover yesterday while another has been released from hospital following an incident near Huonville. Senior Station Officer John Holloway said the cooler conditions had allowed successful backburning to take place in some areas of the Central Highlands today. Heavy machinery has been used to prepare for back burns in the Huon Valley and firefighters have successfully carried out direct suppression activities today. On the West Coast, recent rainfall has helped the firefighting efforts and crews on the ground have been able to install pumps on the Pieman River using barges to help pump water onto the fire ground. The fires in the landscape will continue to pose a threat for some time, particularly with no significant rainfall on the horizon. Mt Field National Park remains closed: PWS will re-evaluate closure on Monday. Southwest National Park – South Coast Track – remains closed: South Coast Track remains closed to new walkers, PWS will be re-evaluate closure on Monday. People planning on visiting national parks are asked to make well-informed decisions. With current weather conditions, the situation remains fluid and can change quickly. Please check the weather forecast, road closures and the PWS tracks and closures page before visiting. With the large number of fires burning and the potential for spotting and new starts due to the weather forecast, PWS are asking people NOT to venture into remote areas. The Parks and Wildlife Service reminds everyone that campfire restrictions are still in place across all national parks, reserves and Crown Land state-wide until further notice. Parks staff will be conducting patrols to ensure that they are being adhered to. As fires under hot, dry and windy conditions can travel very fast, it’s important for visitors to stay informed in case conditions change.